"The technique of filming successive drawings...to create the illusion of movement when the film is shown as a sequence." Animation as an art form is at an all time high. With the huge box office performances of the Toy Story and other Pixar and Dreamworks films, and the consistently high television ratings of The Simpsons and the like animation has never been bigger or better! It is no longer seen as a medium of entertainment purely for children and is reaching across the generations. As the popularity of animation has grown, so has the desire to own a piece of the action. Collecting animation art is one of the fastest growing pastimes worldwide today. This simple guide will provide a potted history of animation art, an outline of the forms of animation art that exist and some guidelines which should be considered when looking for animation art. Animation as we know it has existed since the mid-1890s. Traditionally the art for these films was thought of as a means to an end. It was the actual, final film that was always the valuable part of animation. Accordingly, after the production was finished, the art was no longer needed. Sadly the art from most animated cartoons was either destroyed, or washed clean and re-used to save money. The only exception came with typical foresight from Walt Disney, who began to save most of his animated material. He was the first to develop an archive to assist his artists when they would make other animated films. Other studios destroyed or discarded most of their production materials causing the surviving art to be most rare and valuable. Other than Disney, most of todays older pieces survived only because of a few instances where animators or studio workers would take a piece home. Disney was not surprisingly also the first studio to attempt to market animation art. 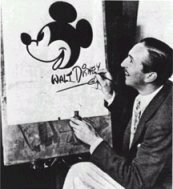 In 1938 Walt struck a deal with the Courvoisier Gallery to sell original production elements from the first full-length cartoon Snow White. Pieces sold at the then extraordinary sum of $75 dollars. The unfortunate beginning of W.W.II. hampered the efforts of Disney, and caused the company to discontinue this project. The Disney Company tried again many years later, when they began to sell their original art in their new theme parks. Despite their moderate success, this late in the century animation art was still thought of as excess material from the making of the films, and the asking prices of $5-$50 reflected this thinking. It was not until the early 1980s that other studios started to follow the lead of Disney and began to sell and market materials from their animated films. Today animation art is considered one of the most desirable collectibles in the world. The Disney cels that were selling for $5 are now selling for many thousands, and animation art as a whole has seen a dramatic increase in prices and appreciation over the last few years. Now, most of the major studios are aware of the significance and value of animation art. They have developed special art programs, so collectors and fans can buy representations of their favorite characters and cartoons, while owning a piece of history. A normal film is shot at 24 frames per second. Animation is also shot at the same speed but is usually "shot on twos." This grandiose term simply means every cel is photographed twice. This means that for every second of animation there will be approximately 12 cels, 720 for every minute and 43000 for an hour. However, the numbers are not quite as straight forward as this. Not every second of animation is in full motion - particular scenes are frozen and there is little to no movement. In many cases only certain body parts move, such as the mouths to reduce time and costs. These limited animation techniques significantly reduce the amount of available animation. Furthermore, not every cel is salable. Many cels will just be for special effects, or will only include only body parts, some may have eyes closed, images may be cut off, or some may just show the character`s rear end! Such cels are common to any production.Usually, in any animated film, it is estimated that only 10% of the production is marketable. This necessarily reduces the availability of quality images, and for popular features demand will inevitably outweigh supply. A clear piece of plastic. Usually made of acetate or mylar. Earlier cels can be made of nitrates that are less durable. A cel that was actually photographed and used in the making of an animated film. 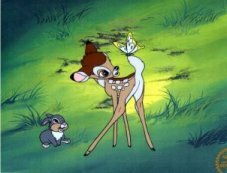 A cel that was produced by a studio to promote an animated film, given away to guests and produced in no set quantities. A cel that was painted to suggest the colours that were to be used for each character. These may not be the actual colours used in the final production. A group of different poses and angles of one or more characters to serve as models for the animators to ensure consistency. A sketch drawing created by the head animator to show key character motions or expressions. A drawing usually done by a clean-up artist who will either clean up the head animator`s drawings or will offer his own. A layout artist draws each key scene in the feature to show the motion of the character and their relationship to the rest of the scene. A sequence of very rough sketches of the entire feature, Gives the director and animators an opportunity to see the story from beginning to end. The art underneath a cel. Tends to be done in acrylics or watercolors. A particular sequence that is re-used in other animated films of the same nature; for example every time Prince Adam turns into He-Man the same footage is used. Since production cels and drawings are rare and one of a kind, there are times when collectors are not able to purchase their favorite characters or scenes. There are also many times when the original art is either not available, has been lost, or possible destroyed. To help satisfy the public`s increased demand for quality animation art, many companies now produce limited editions. These limited editions can come in various forms and at different prices. The two most popular are hand-painted cels and Seri-cels. A cel that has been painted exactly like an original production cel, but a particular character or favorite scene is reproduced a limited number of times. Due to the high cost and difficulty producing these cels, edition sizes are extremely small. An average edition ranges from 125-750 pieces commanding prices of $300 to $2000 dollars. A silk screen image on acetate. These cels are produced by serigraphy, a painstakingly difficult process where each color is meticulously separated and transferred to acetate in perfect registration. The edition sizes are usually higher with this type of art, because more can be made at one time. However, it is a very expensive process, so companies usually make relatively small editions of only 1000-9500 copies of each image. Due to the small quantities produced of both of these products, they are often hard to come by when they are made of popular characters or shows. Both of these types of art can command a large premium when the editions are sold-out. When buying animation, many people like to have the character`s eyes open and facing forward but this is not necessary all the time, and in some instances not attainable. Large, full-figure images are generally rarer than others, but larger waist-up images are also unique and extremely desirable. Always try to have the image size as large as possible, and avoid cels whose images cover less than three inches on the cel. 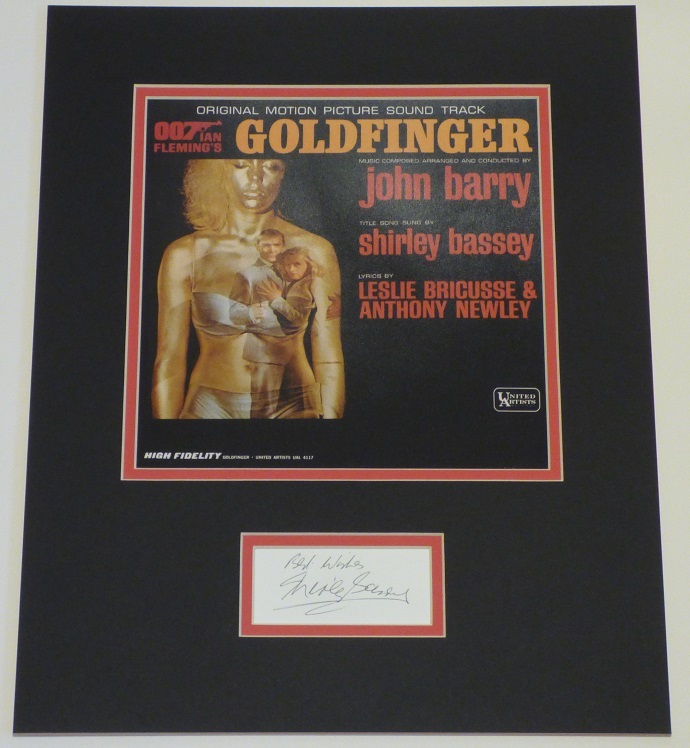 Be aware that hand-inked cels are usually worth more than others. Try to avoid cels that are chipping or the paint is separating; these will only cause more trouble in the future. With limited editions or seri-cels make sure they are always accompanied by a studio seal on the front. Generally animation art, like all forms of art, is a very personal thing. If you like it buy it, if not then don`t! Cartoons are a universal language, enjoyed by the young and the old, by both males and females, they have something for everybody. We hope you will be able to find the piece that means something to you at Autograph City!